Your health is a very valuable commodity. You need to take care of it if you wish to enjoy a long and happy life. There are times when you think that you are doing the right thing with regards to your health. But actually, you are just making it worse. One way to know is to look for the signs that your body is telling you. Here are some surprisingly common signs that will indicate if you are unhealthy. You confront many issues regarding your skin. You may feel that getting acne and other skin disorders may just be an indication that you are not taking really good care of your skin. But there are certain skin disorders that may indicate that your body is too stressed and you may need to slow down. It may be suffering from an allergic reaction that you need to know more about. Try to listen to what your body is telling you through what is happening to your skin. Taking stock of the color of your urine may be essential to know what is happening to your body. Having urine with a dark yellow color may indicate that your body may be dehydrated and not getting enough essential fluids. You will know if your body is properly hydrated when you have urine that is almost clear. But if you know that you have been drinking enough water or fluids and still get dark yellow urine, it may indicate some issues regarding your kidney or your body may not be processing those waste properly. 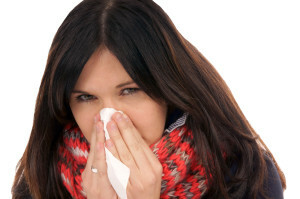 If you feel that you are always the first in line to catch something during the cold season, then you may have issues with your immune system. You can try giving your immune system a much needed boost by taking in the essential vitamins and nutrients that it needs. You can try to increase your vitamin C intake to help provide that boost. You may also need to take a blood test to determine whether there may be certain viruses or bacteria trying to invade and do damage to your immune system. Your have cracked lips often. Cracked lips may indicate that you are dehydrated. It may also be a result of the weather. It is also important to know that having cracked lips, especially in the corners of the mouth, may indicate a vitamin B12 deficiency. Lack of this vitamin can lead to other health issues such as anemia and other blood-related disorders. You may need to boost up your vitamin B levels in order to get rid of those cracked lips. You feel tired even after you get enough sleep. If you get enough sleep and still feel tired, especially during the afternoons, then you may have a problem with your thyroid. This results in your adrenal glands using up all your energy in the morning and without it being replaced properly. You body will suffer since it will work overtime just to make the essential functions going and protecting it from toxins using whatever energy may be available. It can make your body prone to other health problems. If you increasingly feel tired even with enough sleep, try to have your thyroid checked.